As a new mom, and I use the term new loosely since Adi is going to be one on Friday, I had and have trouble going shopping for myself. Adi likes to be free and not a fan of sitting still for very long. So taking her into a dressing room after spending time methodically going through racks of clothing is not her idea of fun. Which means I haven’t really had a chance to go shopping for myself in almost 2 years (maternity shopping doesn’t count). 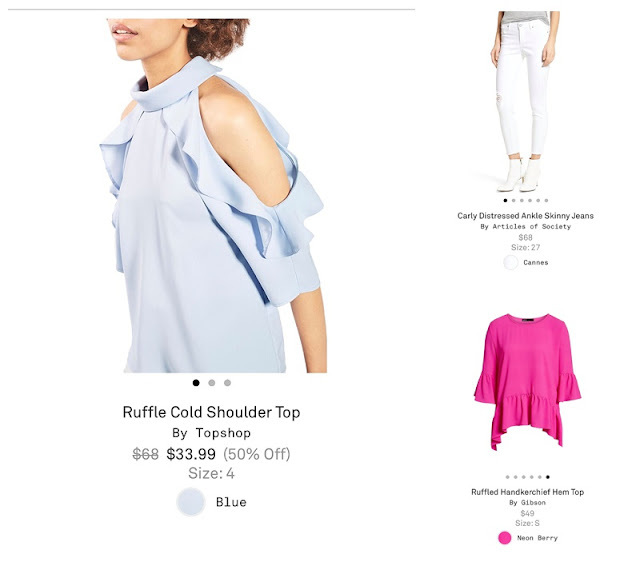 So when I saw Ashley from Little Lovelies sharing information about Nordstrom’s styling program, I knew I had to give it a try. 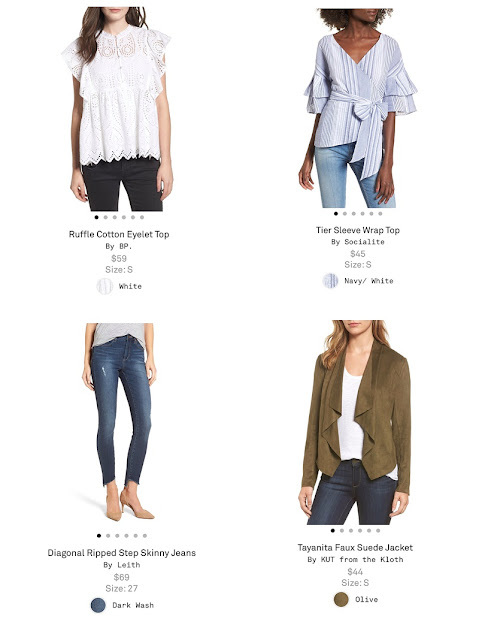 Basically, you fill out a little survey, a stylist picks up your information, gathers great pieces in the price point that you want, and sends them to you to try on. You pay a $25 styling fee that is applied to the total amount of whatever clothes you decided to keep. Before they send the trunk to you, they let you preview what is being sent and you can decline particular items. When you decline them, they can either pick pieces to replace them or you can just have them send the pieces you want. I like for them to send me as many pieces as they decide because it gives me more options. This month, I asked Alexandra to send transitional spring pieces so that I could start building that wardrobe. We all know Texas has very limited cold days so I have a feeling that my need for warmer weather clothing is getting closer and closer. The fact that she found 11 items to send me is great because sometimes we are hit and miss and having more options gives a bigger chance of me liking something. And a bigger chance to spend more money than I was originally planning. Sorry Michael. These were definitely my top pieces that I loved as soon as I put them on. The jeans fit like a glove. We definitely found the right size for me as I adjust to my post-pregnancy hips. The two tops, if I'm being honest, I wasn't even going to try on. I thought for sure I was going to hate them both. And boy was I wrong. The blue cold shoulder top was definitely a quality piece that I can't wait to wear all spring long. The Berry Hem top just fit well. Oversized but still flattering. My friend Emily said I need to wear it to Adi's 1st birthday on Sunday so I think that's just what I'll do. These pieces were my "I just can't decide" pieces. I loved them for one reason and then didn't quite see myself wearing them for another. The eyelet top was definitely a top contender. I have a feeling that it will end up in my closet in a few weeks when I regret keeping it. I wanted to love the faux suede jacket but I think the color was throwing me off. They have it in pink so I think I'll get that one and see if it was jus the color. These were definite no's for me. I like that the stylists sends things that I might not usually try on and pushes me outside of my comfort zone. I'm not huge on flannel but liked the oversized fit of those shirts. The mix media top was cute but just not flattering for me. Did you catch my try on session on Instagram? I had to do it later in the evening because a certain someone wanted to boycott bedtime but I liked seeing what you all thought about the pieces that I was unsure about. The consensus is that I needed to keep the white shirt and the blue one that I fell in love with. Which ones would you have chosen out of these 11 to keep? Have you given a styling service a try?